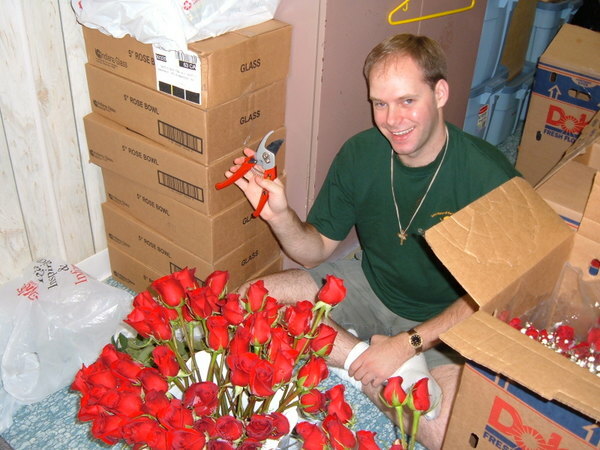 Later on, we began the long process of rose cutting/trimming/arranging. 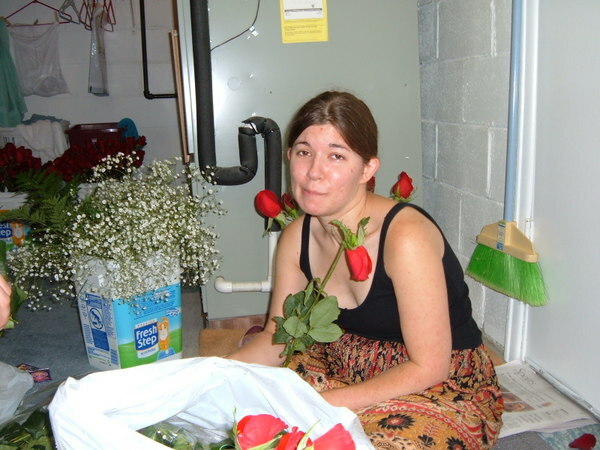 We bought roses in bulk, so there were a couple of duds, which made Kathleen a Sad Panda. 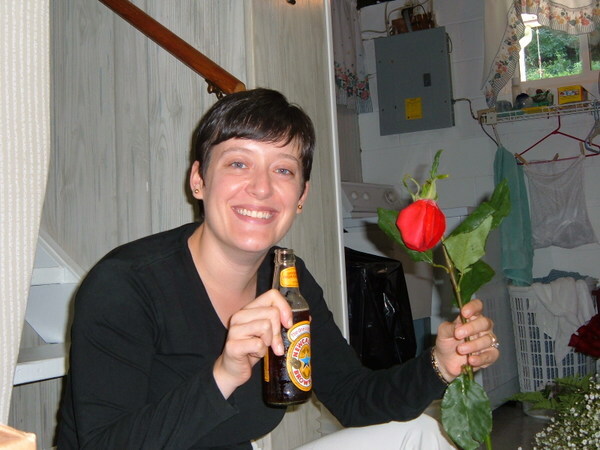 Lisa was also sad about her dud roses, but beer dulls all pain. I did quite a bit of trimming too. 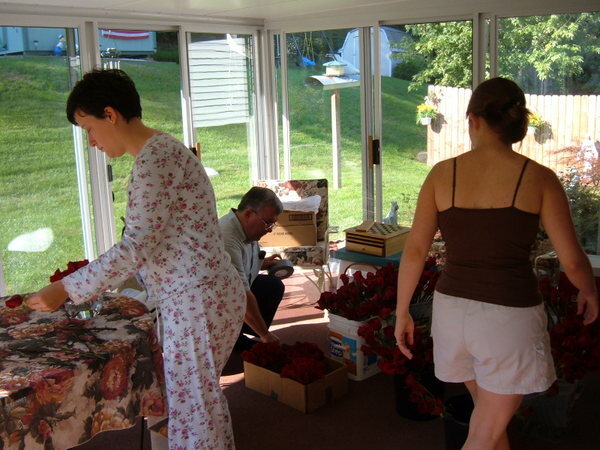 The three of us, along with Dennis later on, spent quite a bit of time on getting our roses ready for the big day. A mountain of cookies. 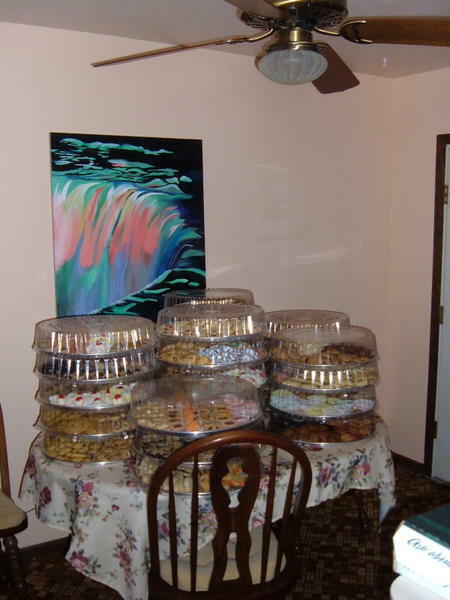 A popular Pittsburgh wedding tradition is to have a table at the reception covered in a startling array of cookies and sweets. This is the amassed collection at that point. The next morning, we got right back to work with the roses. This time, Kathleen and Lisa went about the more delicate process of arranging to roses into bowls for the center pieces. I tried one, but it ended up slightly mutant. 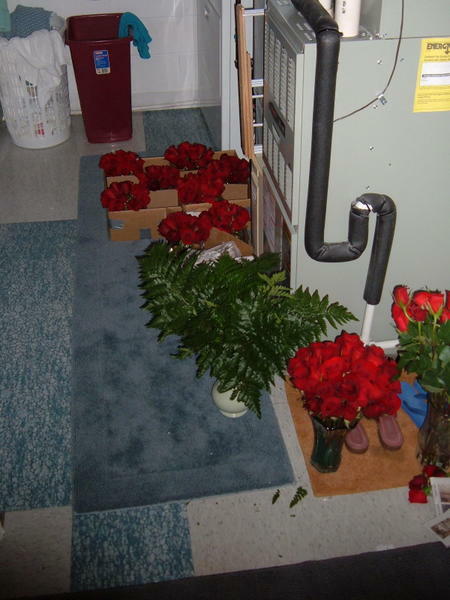 We boxed up the arranged roses for the short trip over to the hall. 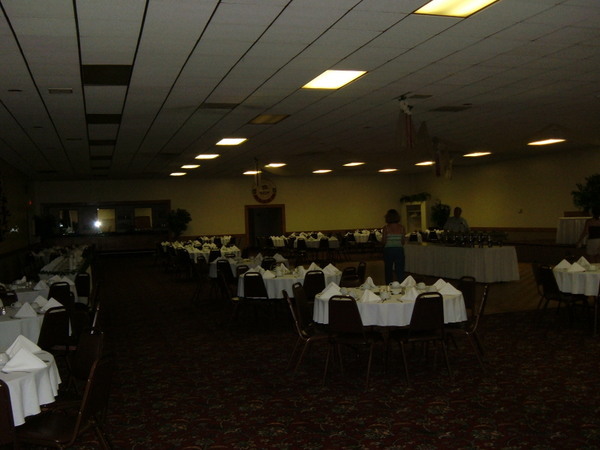 Here's one of the hall as we were setting up.